Oooh! 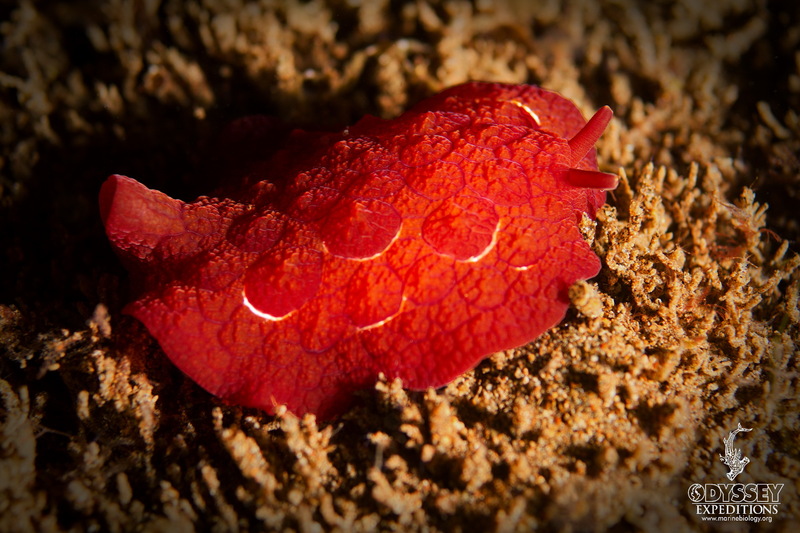 A Side-gilled slug – Pleurobranchus forskalii – gills are found on the right side of the body in the gap between the mantle and the foot. This relatively large pleurobranch is often found in quite large populations in shallow lagoons, reef crests and pools and sea grass beds. 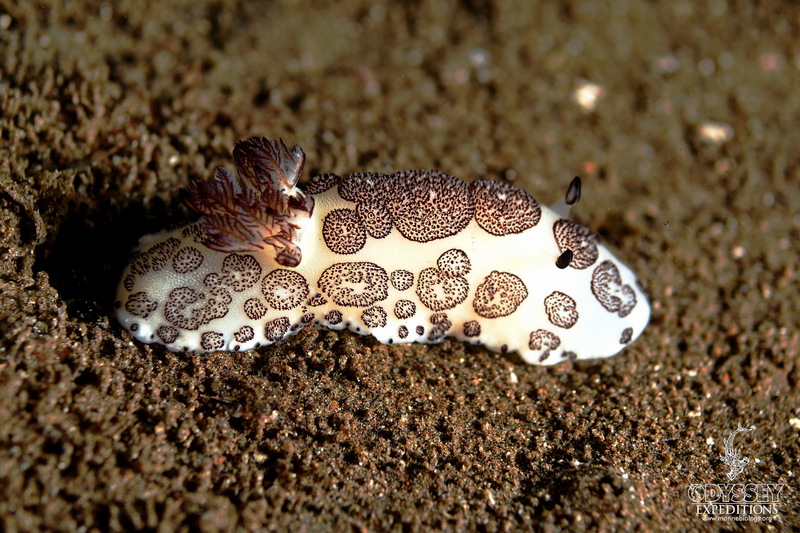 The Funeral Nudibranch – Jorunna funebris, gets is name from the black and white coloration. It feeds on a blue sponges (Neopetrosia sp. ), which makes it poisonous, and able to secrete chemicals that make them distasteful or toxic. As a members from the family Discodorididae they are able to retract its gills into a gill pocket. Many species are able to break off part of their mantle to distract predators. They generally have a narrow foot compared to the wide mantle skirt.